For all of our first time clients we are running a special of just $45.00 for your first massage. Please read Spirit and Body Massage’s Do’s & Don’ts before arriving for your appointment. Also available online is our in-take form. Spirit and Body Massage offers a range of Massage Therapy Services. Choose one or create your own combination. Rates are very simple here at Spirit and Body Massage. We charge $1 per minute. These prices reflect time of hands-on. For an example, many places will say it is a 60 minute massage but really, it is only 50 minutes. They charge during the 5 minute intake and the 5 minutes of saying goodbye. Spirit and Body Massage will take time before and after your scheduled hands on-massage to talk with you. We understand that your body is important and we encourage conversations that help us understand how you are feeling and what services we can provide to help your comfort level. So, please show up 10 minutes early for intake paperwork and enjoy your full 60 minute massage – strictly focused on you. Please remember – a broken appointment is a loss to everyone. Inform us one day in advance if you are unable to keep your appointment. Thank you. We offer a MILITARY DISCOUNT of $5 off the full price for those who have served our country. 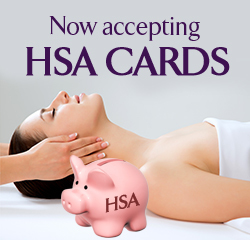 We accept HSA, Visa, Mastercard, American Express, Discover, Checks and Cash. Online booking is now available and it is easy! Just select your duration and your desired appointment time. You will need to provide your name, email, phone number and any other information you would like to provide: First Time Client, A Couple, or any concerns you may have. A Spirit and Body massage therapist then calls to confirm the appointment and go over any necessary information. All payments are rendered at time of service. Credit cards and cash are accepted. We always have gift certificates available. Please call 928.533.9247 to purchase. Online purchasing coming soon.